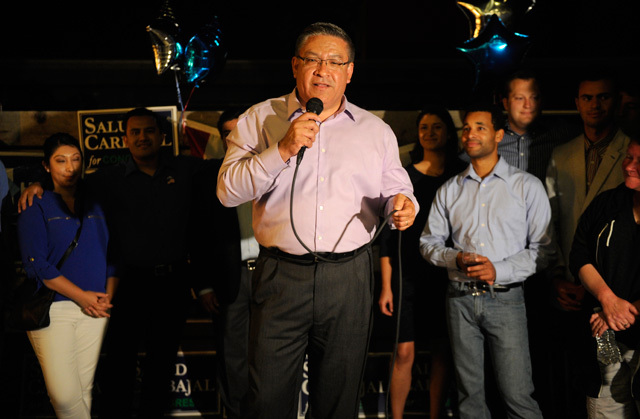 <b>WASHINGTON BOUND: </b>Salud Carbajal on election night speaks to supporters about the opportunities and challenges ahead. For Carbajal, victory isn’t exactly how he imagined it. He fully expected Hillary Clinton would win and that Democrats would take control of the Senate. Neither happened, and Carbajal ​— ​like the rest of the nation ​— ​is still pondering the historic moment and what went wrong. After being sworn in January 2, Carbajal will find himself not just a rookie member of Congress but a member of the minority party when Republicans control both houses of Congress and Donald Trump rules the roost at the White House. 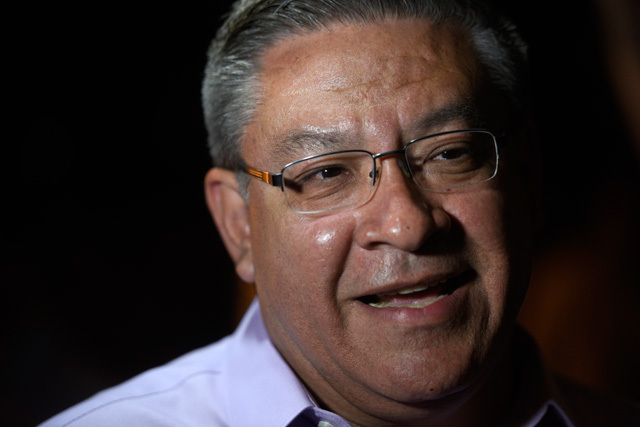 Carbajal was in D.C. two weeks ago for congressional orientation; he’s there again this week. In between, he met with Independent editor Nick Welsh to discuss his thoughts about moving to Washington in such historically unprecedented circumstances. The following is an edited version of that conversation. How do you make sense of the election outcome? Well, it doesn’t make sense. First of all, Donald Trump whipped up a base based on his incendiary behavior of being misogynous and his racist remarks. There’s a certain constituency that he mobilized, and he appealed to it. And then he expanded that by appealing to a number of working people across the board who felt that neither party has provided the type of economic opportunities they would like to see. So I think it’s the economics. This is the first generation that’s expected to not do better than the previous generation. Who do you think the real Donald Trump is? I think the jury’s out on this guy. He’s an enigma who’s said a lot of crazy things. And the question is, is he going to pursue all of those wild things or only some of them because this was just a game for him to get to where he’s at now? Is he going to be more practical? Is he going to be this evil person? It’s a mixed bag. If you look at some of his appointments, they’re just really out there. Do you worry about things boiling over racially? I do worry about that because it’s already polarized; the stew’s been stewing, and it’s bubbling. The question is, does it bubble over? And do we go back to days of the ’60s where coalitions of people ​— ​women, minorities ​— ​feel their civil rights aren’t protected? I do hope [Trump] gets more practical because I am afraid the future could be fraught with protests like we’ve never seen before. What do Democrats need to do so working people feel they’re being listened to? It’s focusing on economic opportunity and prosperity. When we talk about education, we’re talking about preparing the workforce for the future. If you want to talk about working families, raise the minimum wage. California has gone to $15 an hour, but throughout the country, it’s $7.25. When it comes to infrastructure, it sounds like Trump is interested, but where he wants to spend maybe $1 trillion, the Democrats want to spend $4 trillion. Do you have any infrastructure projects that you could bring to this district that you have your eyes on already? For starters, Highway 101. We don’t have all the money through the state or the federal government yet for the entire price tag of $425 million. I’m going to scout every opportunity to find resources, including an infrastructure investment bill like Trump is talking about. Are you hearing from the ag community about immigration? The ag industry has labor workforce issues. I’m hoping that they don’t just focus on a guest worker program. The Bracero Program that my father was part of certainly provided cheap labor for the ag industry and other industries, but it was fraught with a lot of challenges ​— ​people not getting paid, others being put into substandard living conditions. Did your father get ripped off? Yeah, my father shared many stories with me that left a bad taste in my mouth. But the solution is comprehensive immigration reform. That’s it. And to do something less than that is irresponsible. What was the most eye-opening thing for you in D.C.? Cybersecurity, that it’s real; it’s big. I got a phone, and they made it very clear if you ever travel overseas, you don’t take your phone. California is clearly out of step with the Trump agenda. How does the state protect itself? With legislation that can be parallel or protective as interface with federal legislation. I think our attorney general will litigate with the federal government when it is doing things that California disagrees with. And I think the California delegation in Congress will have a big say. What about Washington had a wow factor for you? I guess the whole thing was a wow factor. When you get there, you can’t help but see before your eyes the history of the United States as it relates to this institution, and what the institution means for our country, and the awesome responsibility. I’ve been to Washington many times as an advocate for our legislative priorities and as a tourist. No matter how involved you are, you’re outside. Now, all of a sudden, you’re front and center; you are one of the few who are inside. And it dawns on you, wow.